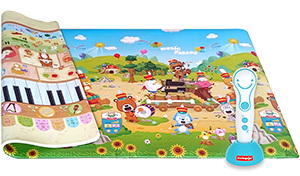 The "Talking Pen" plays sounds when placed on the "Music Parade" playmat, allowing children to learn in a fun and interactive way in two languages at the same time. 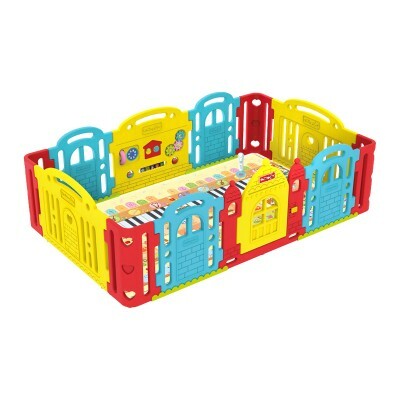 The motives include the alphabet, numbers, instruments, animals, etc. The "Talking Pen" also plays short stories, songs and instrument sounds. 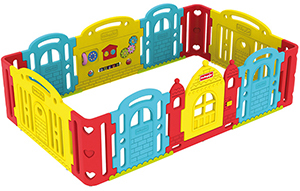 The volume and language of the "Talking Pen" can either be adjusted via the buttons or through placing it on the controls printed on the playmat.